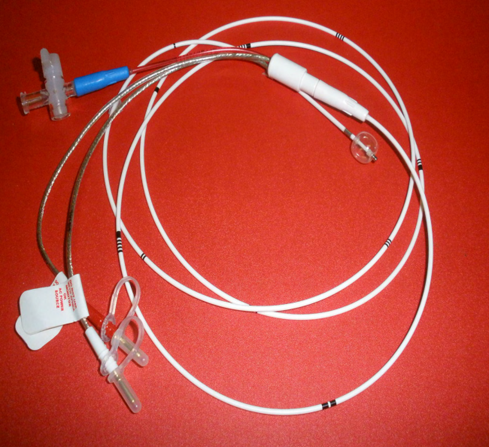 The Bipolar Balloon Pacing Catheter with standard Pin is made of extruded radiopaque polymeric tubing with two lumens and two stainless steel electrodes. The Bipolar Balloon Pacing Catheter is made of extruded radiopaque polymeric tubing with two lumens and two stainless steel electrodes. Electrode spacing is 1.0 or 2.5 cm apart, depending upon which model you choose.